If you are considering a new kitchen for your property, you might be focused on the practical aspects, like the layout and floor plan. Or you might be thinking about the design of the space, and the style of kitchen to create. 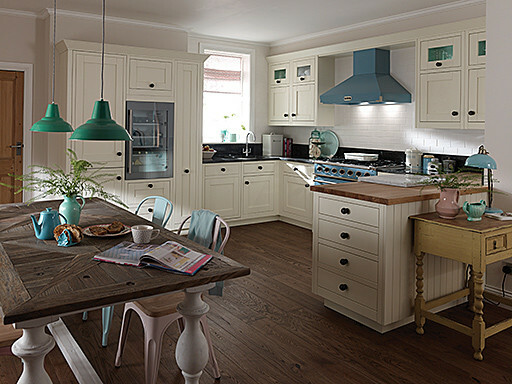 From farmhouse kitchens, to traditional or contemporary kitchens, there are a range of options to choose from. But you should also consider how to add your own character to personality to the space too. And this is something that is often overlooked. Here at Homematas, we are Preston’s leading kitchen design professionals. And we help homeowners and property developers choose the best kitchens, and the best designs, for their space. As a result, we have produced this guide to adding character to your kitchen design. Creating a tiling feature- a small tiling feature in the splashback area around the sink, or the cooker can be a good way to add subtle character. But a larger feature wall can help you make a bold statement. Either way, these feature areas will add character to your home. The finishing touches- parts of your kitchen like the cabinet handles the kitchen taps, and even the stools, make up the finishing touches. And these are a great option for adding subtle hints of character to your kitchen. Choose options that will suit your kitchen style, but that will also draw the eye and stand out. The worktops- the worktops in your kitchen are a good way to add character. Whether you opt for dramatic quartz or solid hardwood, your worktop can bring personality to your space. Why not take a look at our range of kitchens today, here at Homematas?